Bringing Reality TV to Reality! Reality TV has been around for decades, but really started gaining momentum with shows like Cops back in 1989 and Big Brother a short ten years later. Shows like Fox’s American Idol and MTV’s Jersey Shores just go to show that reality TV is a staple in many American homes. Currently, there are a few shows that highlight the professional art of cake making and decorating that have opened up the general public to an art that they may not have known existed (or at least to that level!). Everywhere I go lately, people ask me if I’ve seen Food Network’s Ace of Cakes or Cupcake Wars, or TLC’s Cake Boss where they focus on the art, competition, creation and drama of working in a cake shop while creating masterpieces using their craft and knowledge of baked goods. 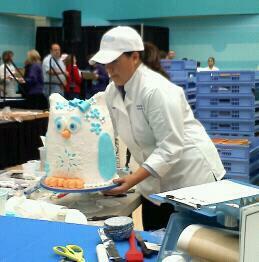 What has this done for the cake industry in general? Well, it has set a very high expectation that these kinds of cakes can be made in any cake shop across the nation (not to mention, there isn’t usually a price tag shown on the cost of those elaborate 7 tiered cutout cakes, covered in fondant). 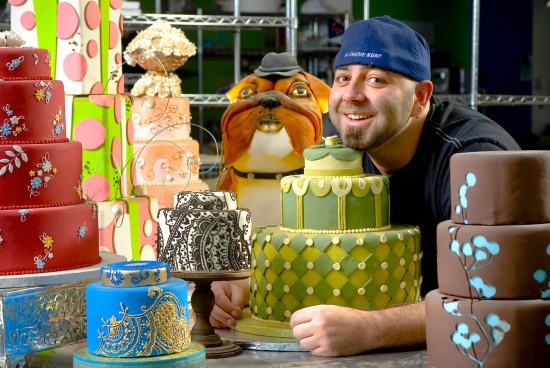 I live in a city outside of the Twin Cities and I plan to make a name for Minnesota, just like Buddy Valastro has done for the Hoboken area of New Jersey or what Duff Goldman has done for Baltimore, Maryland. If people are seeing this level of work on tv, then they should be able to find that kind of product at a local cake boutique that at least can come close. It will take some time, practice, trial and errors, but I hope to achieve that high standard that these shows have created. As artists, we all have our own styles and ways of viewing the world, which I plan to keep to, and I also want to provide a high level of creativity to an area that really needs it! So why not bring a little Reality TV to, well… Reality? !